Home » Blog » How Do I Install a Central Air Conditioner? How Do I Install a Central Air Conditioner? The installation of a new central air conditioning system should always be performed by a licensed professional HVAC installer. Attempting to install a new cooling unit without the proper training and knowledge can be dangerous. Improper installation can cause damage to the cooling system, as well as reduced efficiency – increasing the costs to cool your home. If you’ve never had a contractor install a central air conditioner before, you’re probably unfamiliar with the process. Each HVAC pro’s process varies; the general steps consumers follow will be the same. This guide will walk you through the process as you plan your central air conditioner installation. Homes and businesses have equipment options when it comes to central air conditioning. Split systems: This is the most popular type of central air conditioning system found in the U.S. It’s ‘split’ because it utilizes indoor and outdoor components. Inside is the air handler, which holds the blower and evaporator coil. Outside is what most people think of as the ‘air conditioner’: a metal cabinet which holds the condenser coil and compressor. Refrigerant lines connect the system. If you use a furnace for central heating, you likely have this sort of cooling system, too. Heat pump: Heat pumps are another type of split system. Instead of a furnace and air conditioner, the heat pump supplies cooling in the summer and heating in the winter. It also has an air handler indoors, and the heat pump cabinet sits outdoors. Heat pumps can be air source or geothermal. Air source heat pumps extract heat from or release heat into outdoor air, depending on heating or cooling needs. Geothermal, also called ground source, heat pumps pull heat from or deposit heat into the earth to supply heating or cooling. Packaged air conditioners: Packaged air conditioners combine electric air conditioning and a heat pump, or heating plus cooling equipment. These units sit on the rooftop or just outside the home or commercial building. They are often chosen for commercial applications due to their installation flexibility and small footprint. Ductless mini-split air conditioners: Ductless systems are a great choice for cooling a home or business without ductwork. The other systems require ductwork to distribute cool air – a ductless system does not. Ductless mini-split systems have an outdoor air conditioner or heat pump, connected to air handling units placed in one or more rooms of the home or building. Control cooling delivered to each room or area separately of the other air handlers, offering greater control over energy use and temperature. Depending on the type of central air conditioner considered, other factors may come into play. New duct systems: If your home or business does not have existing duct work, you can choose a ductless air conditioner. 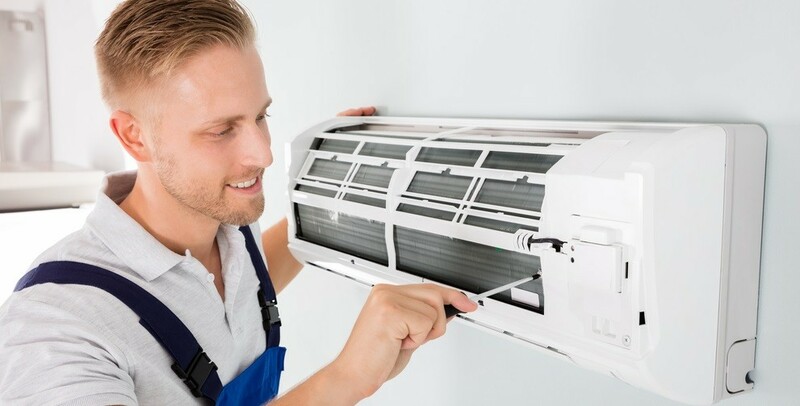 If you want to go with another type of central air conditioner, you’ll have to have a duct system installed to work with it – this comes with extra cost and space considerations. 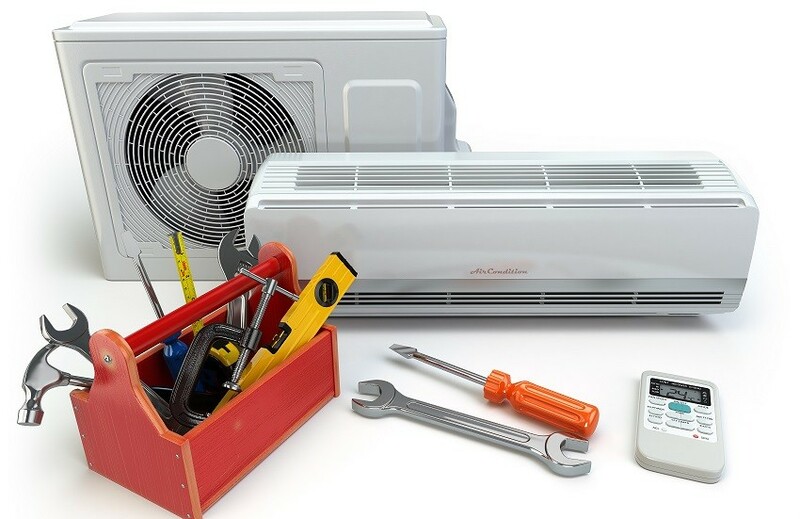 Duct system repairs: If your home or business does have a duct system and you want to install a ducted central air conditioner, the existing ducts may require repairs or alterations to support the new system. Air leaks can reduce air conditioner efficiency up to 30 percent, leading to energy loss and poor temperature control. Your duct system may require duct sealing to support the new air conditioner. Additional duct runs may need tied in to your existing system to facilitate your new central air conditioner installation. Indoor air quality: Central air conditioners provide a certain level of dehumidification, but it may not be enough for your climate or indoor environment. Installing a whole-home dehumidifier to work with your air conditioner may be the best option for indoor air quality treatment in your home or business. If indoor contamination is an issue you face, a whole-home air purifier may be an add-on you want when installing a cooling system. Once you have an idea of the types of central air conditioners available and what you might like to purchase, start your search for an HVAC professional. There are many ways you can go about your search for an HVAC contractor. Ask trusted friends or family for contractor recommendations. Once you’ve selected a few companies, contact them to arrange an estimate to install a central air conditioner. A trustworthy HVAC pro will guide you through the installation process. They’ll answer questions you have about system types, helping you choose the right option for your comfort and financial needs. They’ll perform cooling load calculations to determine the size of central air conditioner needed. Your HVAC pro will advise you as to other considerations needed for your new air conditioner to work optimally. Once you have your quotes in hand, compare them and what they offer. Ask for itemized quotes which state the equipment so you know you’re comparing apples to apples. Check into warranty terms, for both equipment and labor. After choosing the HVAC contractor you’d like to work with, contact them. They may want to meet with you again, or schedule a time for a sales representative to come pick up your contract. The contractor will inform you of the project’s timeline and schedule your installation. Your contractor may order the central air conditioner from a supplier first before scheduling specific installation dates. On the day of your central air conditioner installation, expect a process similar to what’s listed below. Of course, the actual steps may vary between contractors. If your local government requires permitting for the HVAC work, either your contractor will obtain the permit or have informed you that you need to take care of it. In most cases, your contractor will do this for you. The contractor takes apart and removes the existing air conditioner. The contractor installs new duct systems or performs duct repairs. Prepare the installation site. This may involve setting a concrete pad outside to support the air conditioner, or installing rooftop supports for a packaged system installation. Your new outdoor unit will be positioned correctly. The contractor will install it and secure it to the site. If also replacing your air handler, install the indoor unit. 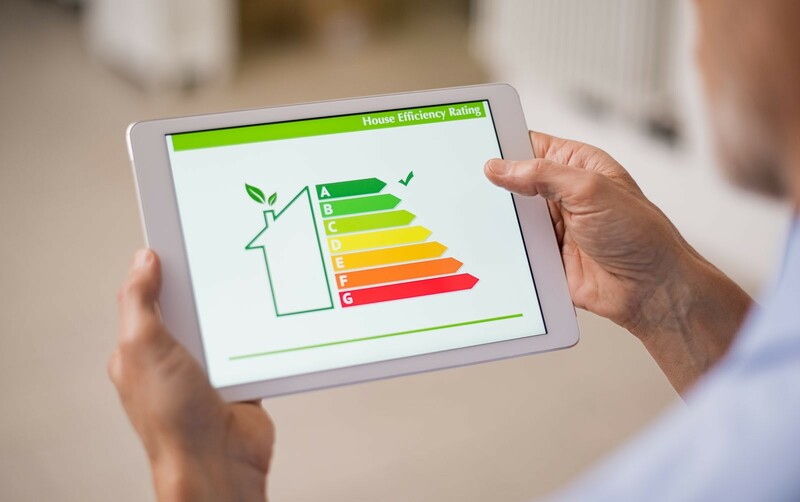 While it’s a smart idea to replace both indoor and outdoor units at the same time, in some cases you may elect not to replace the air handler when you have a new outdoor unit installed. Connect the indoor and outdoor units. The contractor will determine the appropriate size for refrigerant lines, drain piping, and electrical lines. Some of these components link the parts of the split system. Connect the thermostat to the central air conditioner. You may have a new thermostat installed or continue to use your existing unit. Pull a vacuum to remove contaminants from the refrigerant lines and charge the new central air conditioner with refrigerant. The new cooling system starts and runs. The contractor will perform an installation inspection to ensure the installation was done correctly and the system functions properly. Buying a new central air conditioner is a major investment. Working with a skilled HVAC contractor, you’ll receive valuable guidance regarding system types, options, and efficiency levels available. The professional guidance you gain will allow you to select the right central air conditioner for your home or business. As you move through the installation process, feel free to ask your contractor for information or clarification along the way. Kick off the project of installing a central air conditioner with HVAC.com! Search our Contractor Directory for a local HVAC pro, or have us recommend a Certified Contractor who can tackle your cooling project. Just complete these steps and we’ll set you up with a qualified contractor to quote your air conditioner installation. Can you run an air conditioner without a filter? Does a bigger system offer better performance? Who To Call For Emergency Air Conditioning Repair?